EUGENE HAS BEEN FOUND. HOME SAFE AND SOUND WITH HIS FAMILY!!! 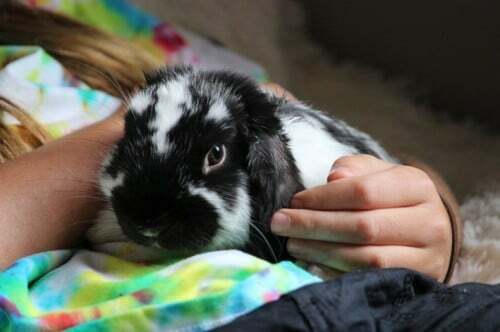 Eugene is a black and white male lop eared rabbit. LOST from backyard in central Werribee on April 6th, 2014. Last seen by neighbour in Beamish Street Werribee on April 11th. Much loved family pet and companion to our dog. Please SHARE Eugene’s details to all your social media pages using the share buttons here. This is MY RABBIT! His name is Oliver, was lost in 2014 early in the year and looks exactly the same! I truly think that you have made a mistake. Please do something aboit it? This ad was placed by a Gillian. We have all her details on file for the ad she placed and paid for for Eugene. Eugene was reunited with her, he is no longer missing. We keep the page visible on our site to give others hope. Oliver may look a lot like this photo of Eugene, but I have nothing to link the page to you or an Oliver. If you know Gillian and she incorrectly listed your rabbit under the name Eugene, could you please contact her and ask her to contact me? Hopefully it is just a coincidence that the two bunnies look very alike, but in any case this bunny was reunited with the advertiser. Please see the third photo, is this also your dog? I look forward to receiving clarification from you. Hi Constance. This rabbit is definitely Eugene. We know our bunny. We got him as a baby bunny when he was just tiny. He went missing April 2014 and was reunited to us from the neighbours who live behind us some days later. He hadn’t gone very far at all. They had seen him earlier but hadn’t been able to catch him. 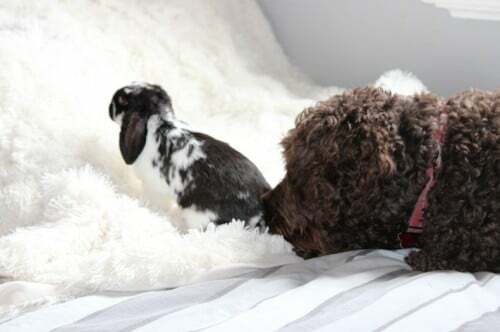 He is totally not afraid of our dog and on return hopped straight up to him and gave him a bunny snuffle.He also knew exactly where his litter box was in the house. Definitely not Oliver. 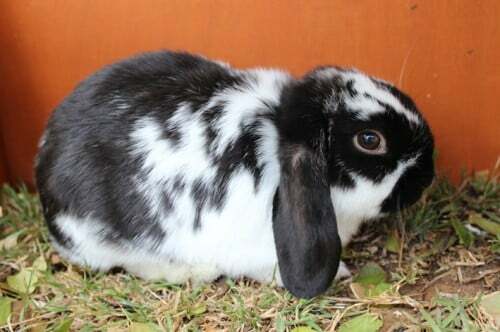 Lots of bunnies have similar markings.